The definition of minimalism in a singular design, achieved by the great Ludwig Mies van der Rohe in 1929; the brno flat-bar chair is just that. 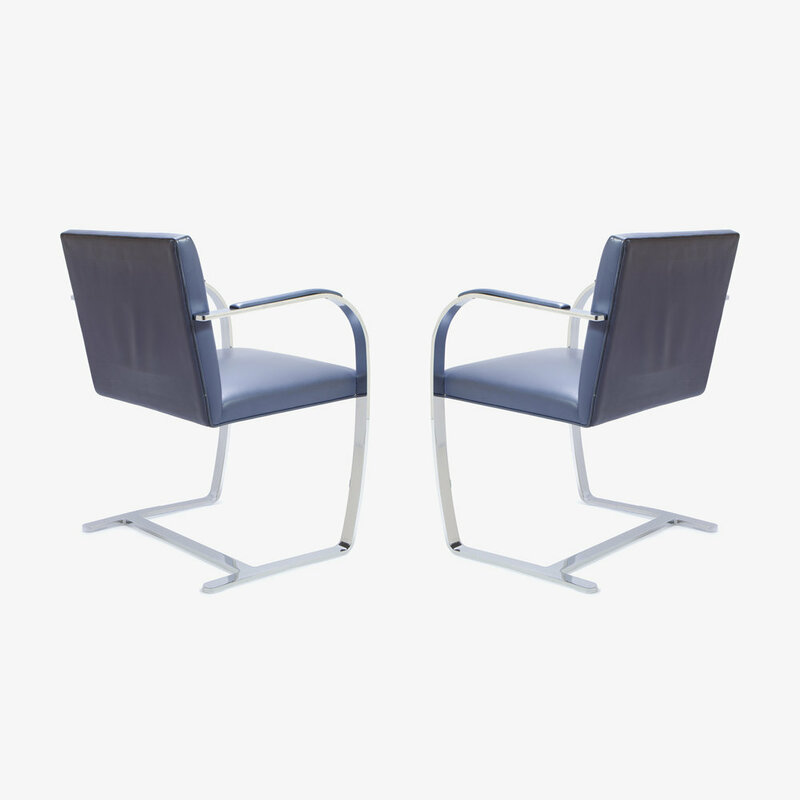 These are contemporary edition Mies van der Rohe for Knoll chairs upholstered in a supple Navy Blue Leather, a stunning combination with the chromed stainless steel frames. These chairs feature upholstered armpads, original plastic floor glides, and are incised under the steel arm "Knoll Studio" with Mies' signature. Overall this pair is in spectacular condition.